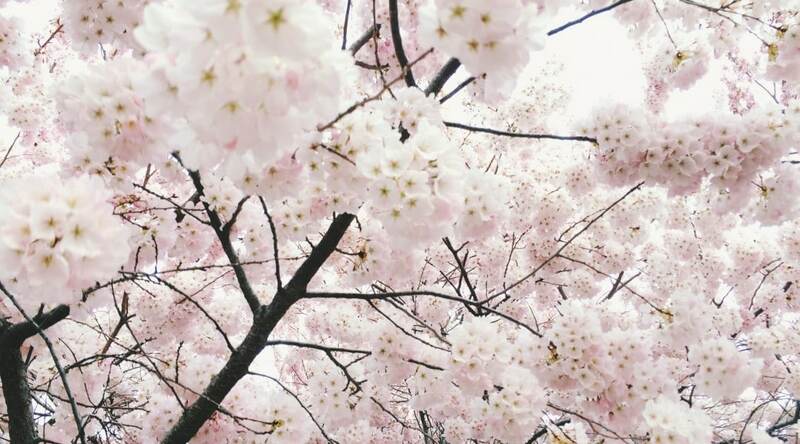 Tuesday, as my husband and I were on our morning jog, I could see in the distance the most stunning spectacle of blossom dreaminess I have ever seen. The overcast sky gave the bountiful display an ‘otherworldliness’ feel and I had to stop and capture it on my iPhone. As I snapped the photo, I thought to myself, this tree looked completely dead only a week ago! A few weeks before the event, I was finishing up my preparation and felt impressed that I was to share a prophetic word with the ladies that God would bring hope out of the seemingly lifeless, desert experiences. “Coincidentally”, I received an email soon after that from my youngest daughter with a news clip about the recent Super Bloom in Death Valley. (I love how God uses Chloe!) God was confirming His word with a beautiful picture in the natural of what He wants to do in lives spiritually! Take a look at this! 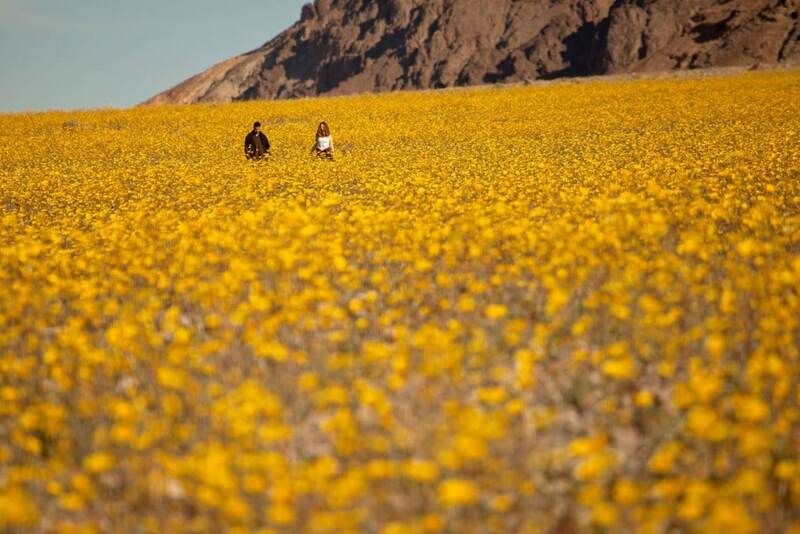 Death Valley Super Bloom February 2016. Source: Mike Byrnes. Used with permission. What an amazing sight. 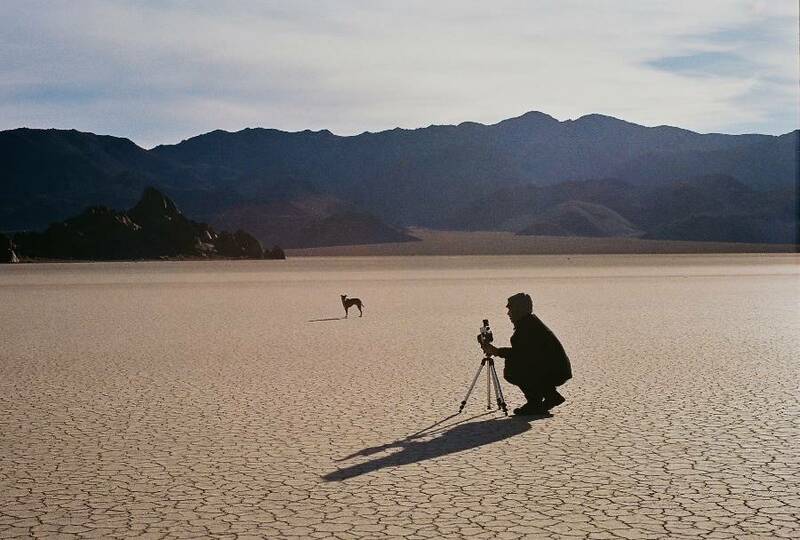 Death Valley’s hottest recorded temperature is 134 degrees but more often tops 120 degrees during the summer time. This year, however, just a little bit of rain transformed the desert! One night at the retreat, towards the end of service, while ladies were worshiping and praying, I felt compelled to share the verses from Job 14:7-9 NET which is this post’s featured verse. During one of the breaks at the retreat, a young lady came up to me and told me of the very difficult life she had lived since her parents divorced when she was very young. She told me that often she had pictured herself as a dead stump and that when the scripture was shared hope was revived! But wait there’s more! So back to Tuesday. After our jog, I went on social media– I had been off for a while due to the retreat preparation but was back browsing through Pinterest–one of my great indulgences! I giggled with delight when I happened upon the cartoon below. 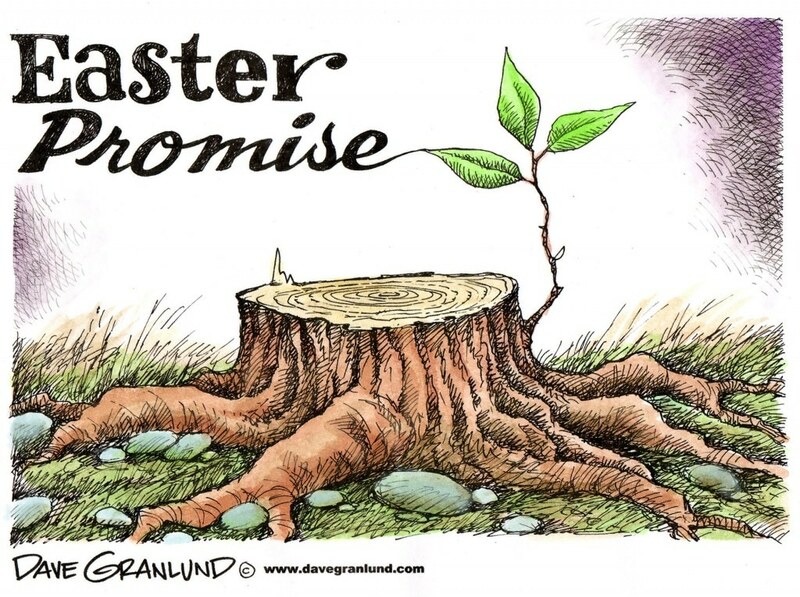 Source: Dave Granlund. Used with permission. Lisa, you have done it again! What a positive and hopeful message. I love how God uses Chloe to further your messages. God bless you and your famly! Thanks Vicki! I love that I have a platform to share God’s exploits–and Chloe’s!